The living room follows an open plan, with the dining are and kitchen open to it. 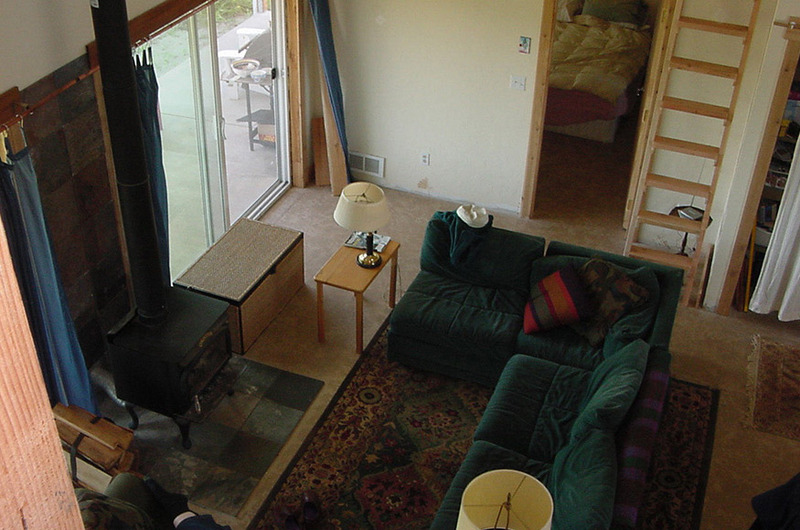 A wood stove provides most of the required heat. A stained concrete floor provides a large active thermal mass to absorb solar gain and moderate temperatures. The house was designed to meet a very contrained budget.